Mas Collet 2016: 88 p.
Mas Collet 2015: 87 p.
Mas Collet Barrica(2011): 90p.An oak-aged blend of Garnacha, Tempranillo, Carignan and Cabernet Sauvignon from the Capçanes co-operative that shows why Montsant is such a good value alternative to neighbouring Priorat. The oak is just a top note here, despite the name of the wine, adding complexity to the flavours of plum, cassis and hot stones. The wine finishes with a dry, mineral flourish that ties it all together, like a bow on a gift-wrapped present. Capçanes, Mas Collet 2011Montsant 15/20Drink 2014-2015 Garnatxa, Carinyena, Ull de Llebre, Cabernet Sauvignon. 15-30 year old vines at 200-400 m. Diversity of vineyards from Capçanes and Guiamets. Nine months in American and French oak. This is a correct wine, easy drinking and not really concentrated. Sweet caramel, coffee and simple black fruit. 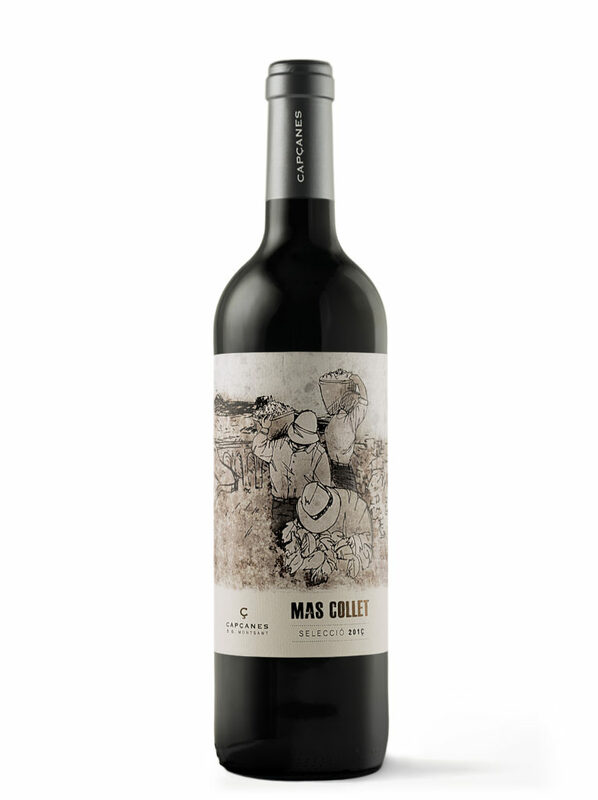 Mas Collet 2012, 87pVino muy Bueno35% Garnacha, 25% Cariñena, 25% Tempranillo, 15%Cabernet Sauvignon. Color cereza intenso, borde granate. Aroma potente, hierbas secas, fruta madura, fruta confitada. Boca lleno, frutoso, graso. “Mas Collet 2010” 88p Color cereza brillante. Aroma fruta madura, especias dulces, expresivo. Boca sabroso, frutoso, tostado, taninos maduros. “Mas Collet 2005…My choice this week is an indication of the outstanding consistency of quality and value for money represented by the wines from Celler Capçanes, …similar in style to those of Priorat but generally at lower prices. .. this wine stood out for its combination of intense, sweet dark fruit, firm structure and lovely freshness. But it’s far more than a fruit bomb; there’s a savoury sour cherry tang on the finish and the slight sweetness added by the oak spice morphs into a more complex meaty flavour on the palate, thanks to the extra time this wine has been allowed in bottle – unusual for a wine at this price. This is seriously good value for money. “Auch die neuen Weine von Capçanes erinnern sehr an Priorato – kraftvolle, eigenständige Weine, mit viel Charakter”“Mas Collet 2000” (Fass): Sehr gut bis hervorragend!